Make sure you avoid these potentially-fatal errors. In today’s hectic world, car safety is more important than ever. Every day people rush to work, and then rush to get home from work, often too preoccupied with their own problems to pay proper attention to the road. The rate at which people are dying from traffic accidents has only increased in recent years, and it doesn’t look like this is going to change any time soon. 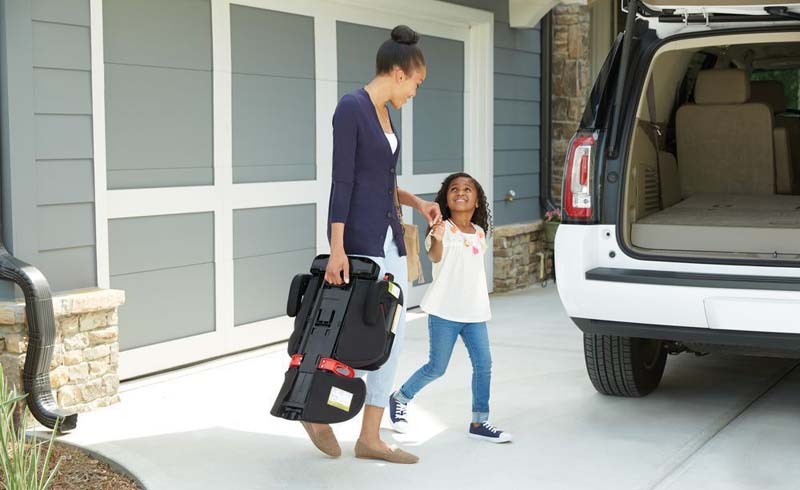 If you’re concerned about your child’s car safety, you’ve probably heard rear-facing seats increase the chance of leg fracture in the event of a car accident. I’m here to tell you this really isn’t something you should worry about. Studies have shown rear-facing seats actually decrease the chance of this happening, but there’s a much more important reason why you should stick to rear-facing seats for children up to even 4 or 5 years of age: it has to do with their head and spine. An infant’s head accounts for 25 percent of her body's entire weight, and this translates to a lot of force a child will experience in the event of a crash. With a rear-facing seat, the shock is absorbed by the seat itself, so the neck doesn’t have to bear the brunt of the impact. Many moms are worried their kids will get chilly and catch a cold or—God forbid—a case of pneumonia due to an inadequate winter wardrobe. However, it’s much better to turn the heat on in your car and take a layer or two off your kid while they’re in the car seat. Why? All that extra cushion the multiple layers provide makes it very hard to tighten the seat harness sufficiently. This means the car seat won’t be able to effectively absorb the massive forces present in an automobile accident, putting your little one in a very dangerous position. So leave that coat off while they’re in the car—even an occasional runny nose is miles better than any sort of accident-related injury. We’ve seen this one happen multiple times. It’s much easier to just take your infant to the store, lift her up while she's still in the car seat and just put the seat in the shopping cart. This is fine if they’re on the floor of the cart, but you should never, under any circumstances, try to fit them in the baby seat portion of the cart. This part can come loose, causing the car seat to fall. If this happens, most likely it’ll just roll back into the main compartment and give your child a nice scare, but it’s possible for the seat to slide out of the cart entirely, and this can be very dangerous indeed. 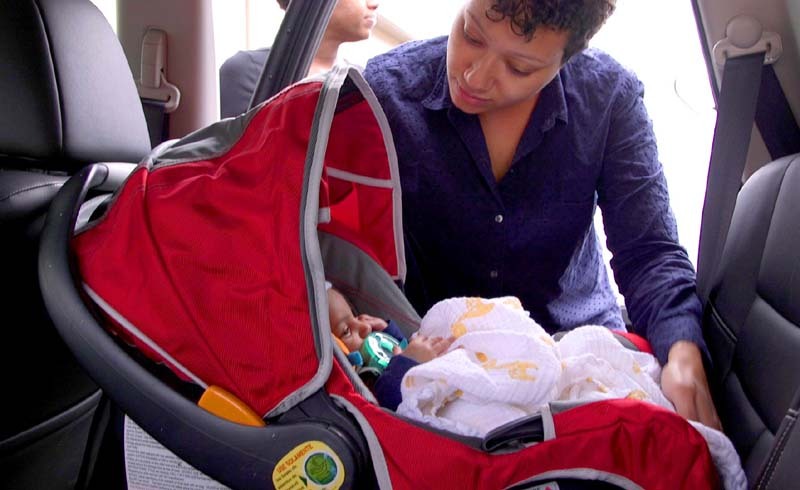 Every car seat was designed to be used a certain way to provide your child with the optimum level of safety, and this is not something you should experiment with at the cost of your child’s life. Now, there are all sorts of accessories out there that are marketed as something that can be used to keep your little ones comfortable in the car, but rest assured that if you use your car seat right, it is already keeping them as safe as they can be. Using any additional accessories that did not come with your car seat is always a potential safety risk, and can have an effect on the physics behind the mechanism of the seat. Many insurance companies will deny your injury claims if you used any of these devices when the injury happened because that means you weren’t sticking to the proper protocol and are partially at fault for the child’s injury yourself. All in all, car seats are a pretty straightforward device and it’s not hard to use them, but as you can see, it’s not really hard to misuse them either. Hopefully some of this information will help you avoid any future malpractices with your car seat, so your children can be as safe as possible while on the road. Safety should always be our No. 1 concern when it comes to our children, and the only way to stay as safe as possible is to educate ourselves about the various risks that surround us.